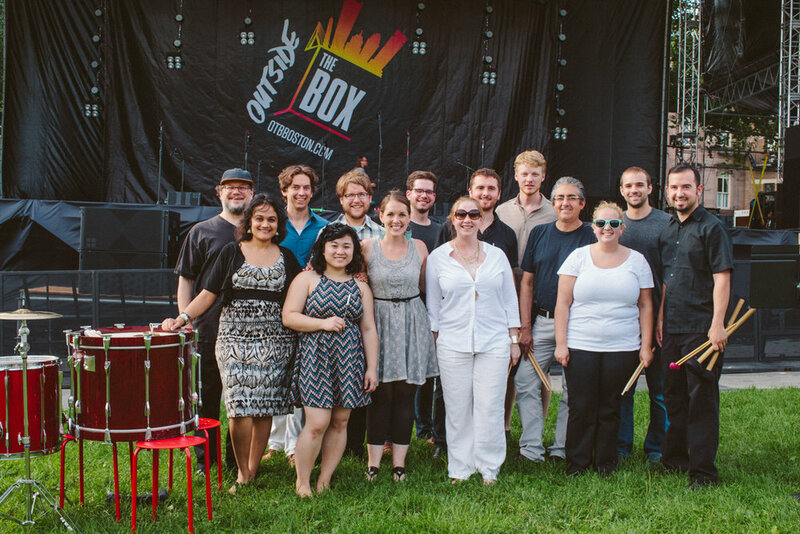 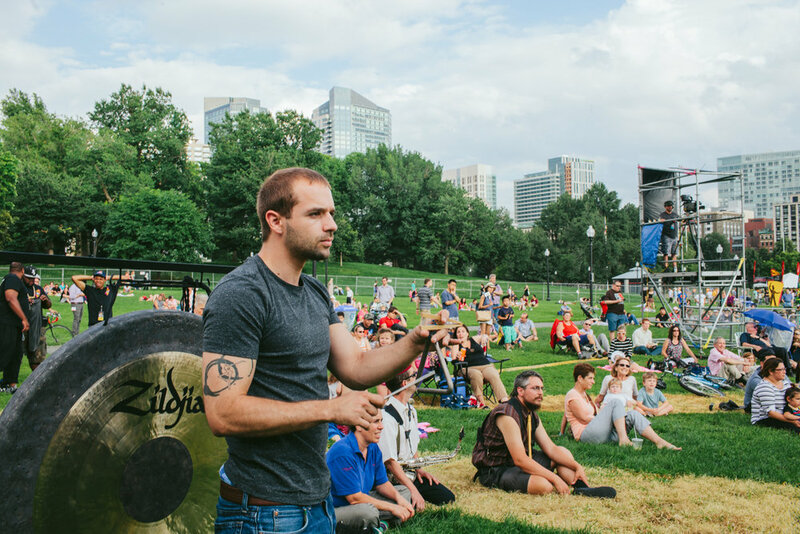 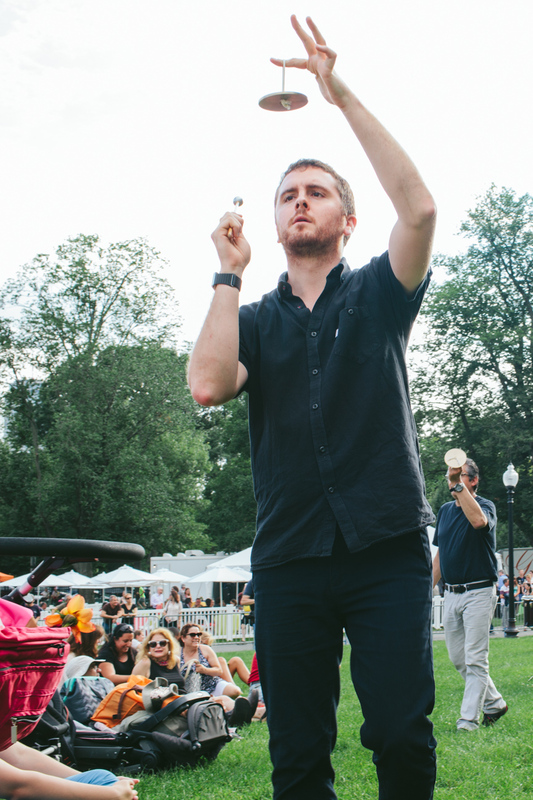 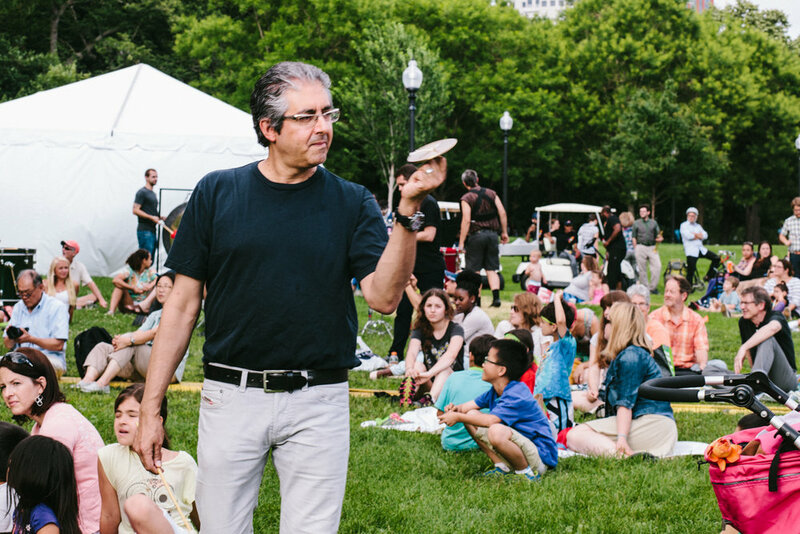 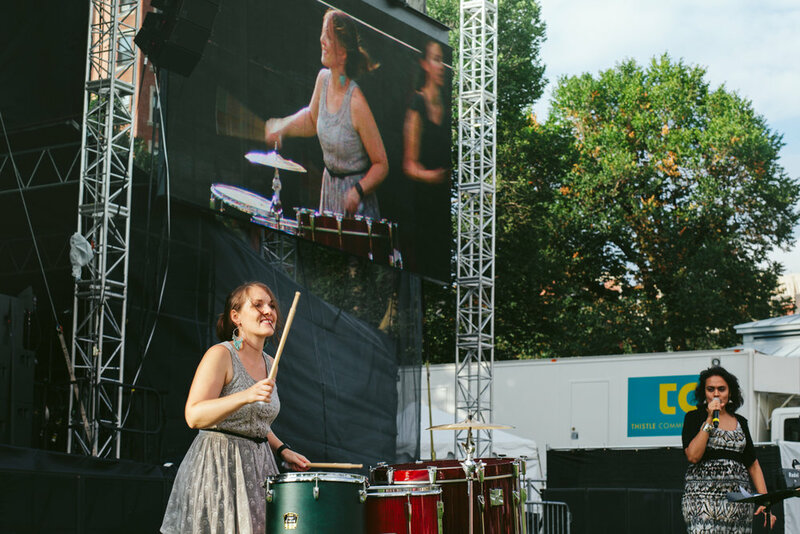 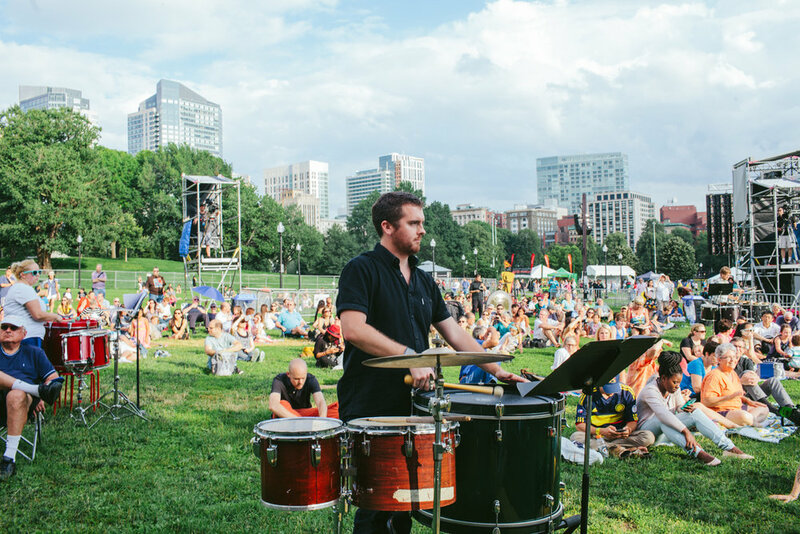 By way of 13 all-star percussionists and 1 stunning South Indian classical singer, the Outside the Box festival in 2015 began with a 15 minute original composition by Kadence Arts Founder and Director, Maria Finkelmeier. 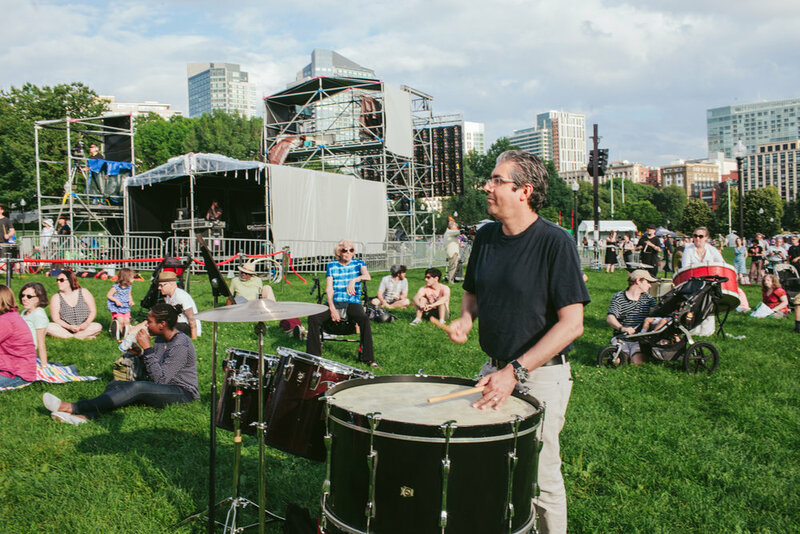 The piece started with a tam-tam drone, sparkles of crotale tones, and Deetpi 's voice soaring over it all. 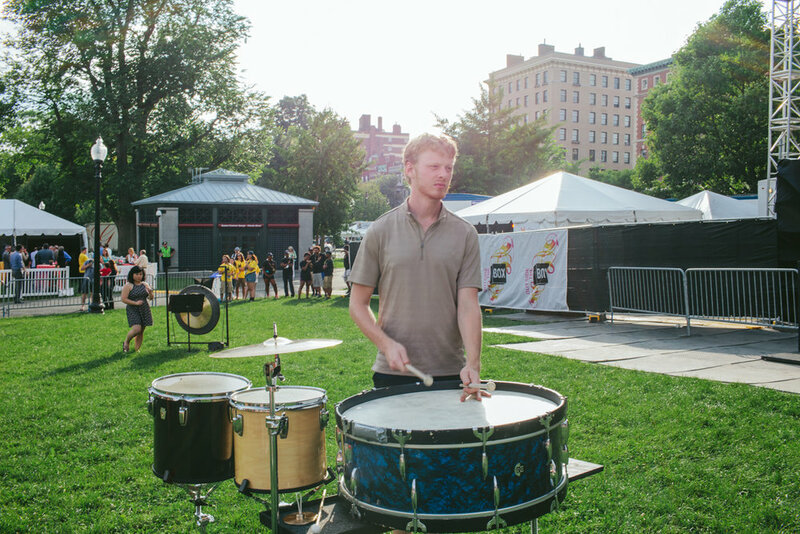 The ensemble then explored each set up of 6 drums with spurts of rhythmic activity, driving repetitive strikes, and a canonic groove that passed through the entire ensemble. 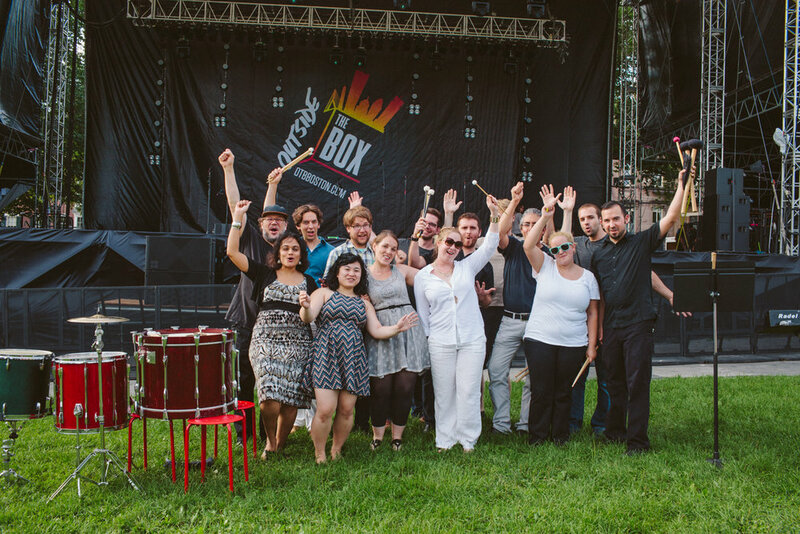 It was a joy to work with such an amazing team of musicians, in addition to the wonderful folks from the festival!